Today's Sunday Confessions is a wee bit different than normal. I kind of hate my bullet journal. I know. I know. I mean, I love it. But I hate it all at the same time. Because this post ended up being WAAAAAAY too freaking long when it was all said and done, I've decided to break it into 3 parts, or volumes as I like to call them. It just sounds more fancy. In this first part, I'll go over what didn't work, the next what did work and the last will be what I'm doing differently! Hopefully, in the end, it will all make sense and I don't end up sounding like a total nutter. The best part about the start of a new year is that we all come up with ALL THE PLANS on how we are going to do things……get in shape, get organized, get our spending and budgets under control, etc. And then we actually sit down to do all the things and we quickly realize doing ALL THE THINGS is just not going to happen. 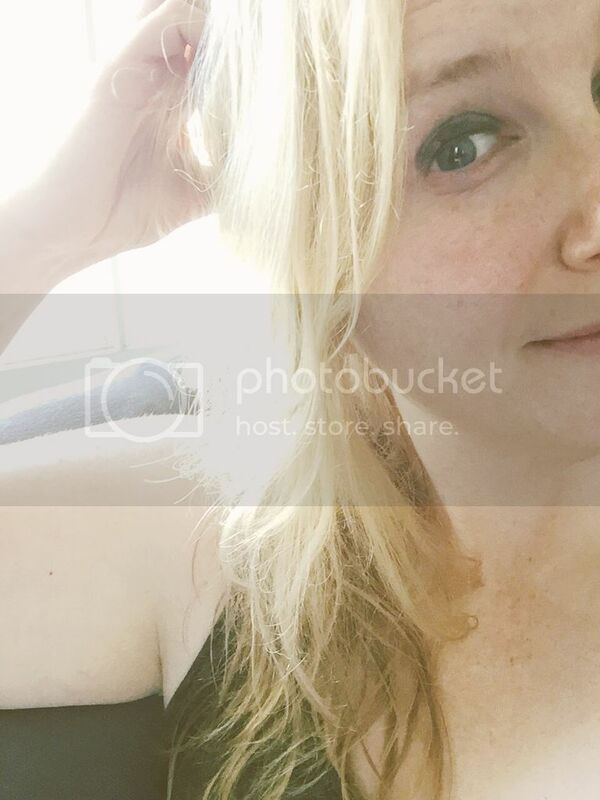 I had lofty plans of getting not only myself, but also my house and finances under control and organized. I crack myself up sometimes. One of the first things I did was set up a no spend tracker and spending log to track how much I spending, where I was spending my money and what I was buying. The ONLY thing this told me was that I buy A LOT of food, so really, not anything I didn’t already know. I’m single, I’m only cooking for one and doing on BIG grocery shopping trip does work for me (I end up throwing food away). So, while in theory it was a GREAT idea to track both of these things, it just isn’t realistic. I also did a Savings Tracker to keep track of how much money I tuck away each week to beef up my savings account. Again, in theory this was a great idea but no need to really track something that is automatically taken from my paycheck and tucked away for a rainy day. 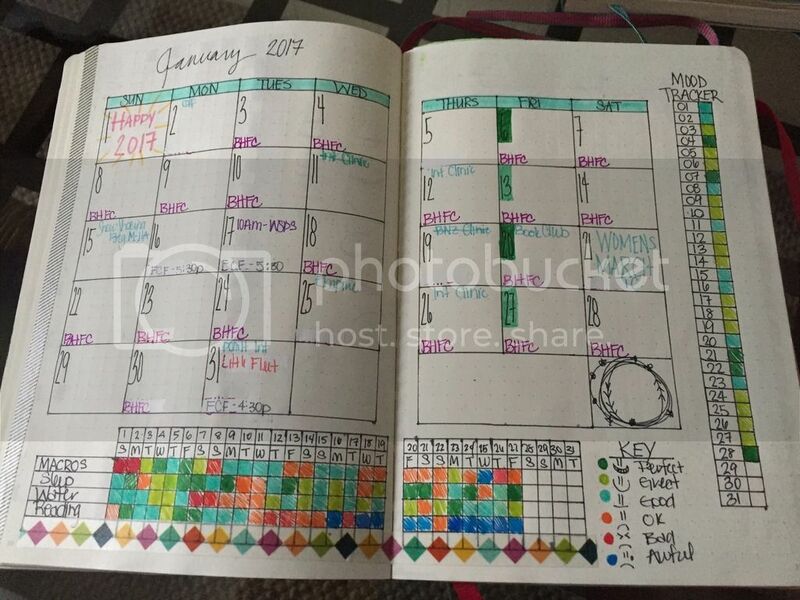 I think if I do something like this again in my next bujo, I’ll track specific savings goals rather than just one giant, general goal. 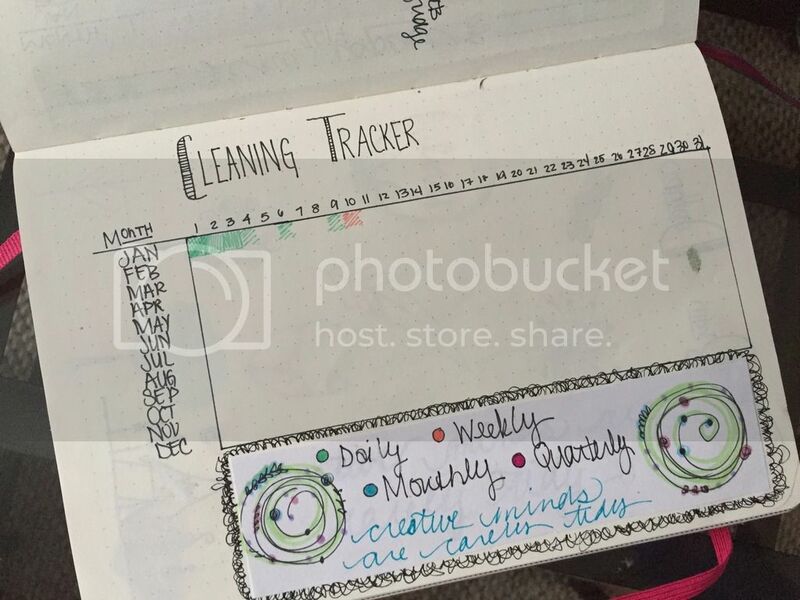 Next up was the cleaning tracker. Oh, silly, silly Meg. This was a bust from day one! I didn’t think this out enough in terms of marking individual cleaning activities so yeah. It was a waste of 2 pages! I also tried to do some fancy color coding with my days but that quickly got SUPER annoying when I JUST wanted to write down an appointment or a task and had to dig through my bag ‘o pens to find the appropriate color. All the above spreads were done with good intensions but sadly, they just weren't realistic for me. 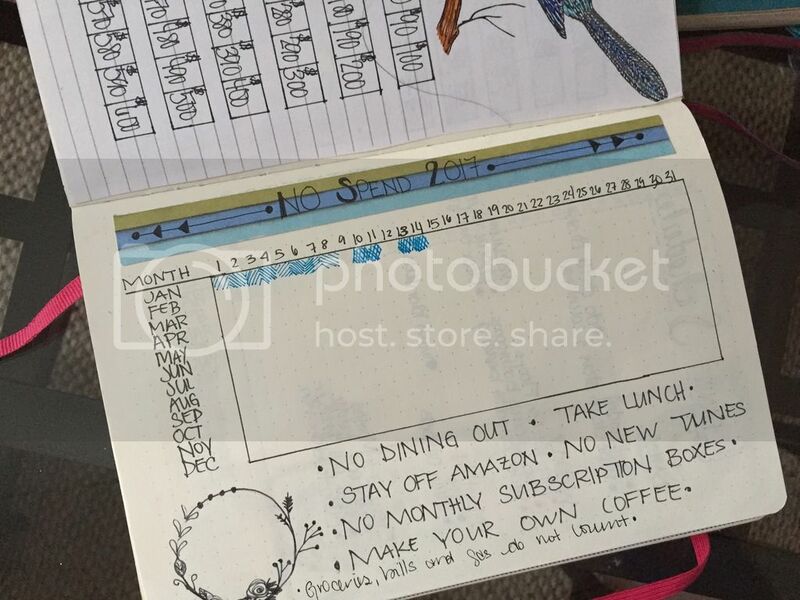 I take that back.....the actual layouts for the monthly and weekly spreads are AMAZING and working perfectly for me. It's just the color coding that got really old, really fast that I bailed on. Thankfully thought, with the bujo you can try something and if it doesn't work, just move onto the next thing! Which is exactly what we will do in the next post!! Next time we'll talk about all the goodness that did work.